Yesterday, July 28th, at around 1:30pm, we suddenly and unexpectedly lost Betsy while she was under anesthesia for a (fairly) routine operation (taking care of her teeth). Needless to say we are devastated and heartbroken. 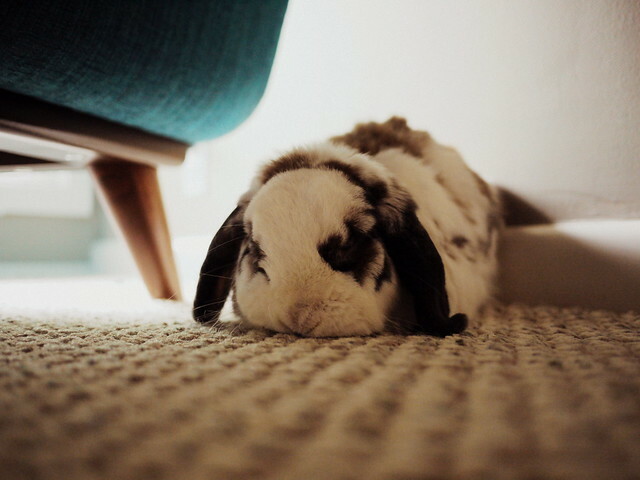 Our home will not be the same without bunnies, and it will never be the same as it was with Betsy and Gus. It is some comfort to think that Betsy is with Gus now, binky-ing free on the other side of the rainbow bridge – but we still miss her (and Gus) all the same. Thank you to everyone who read this blog and who offered us condolences – both now and when Gus passed earlier this year. Gus, you were our darling little boy – and Betsy, you were our sweet little girl. We will miss you both and will always remember you. 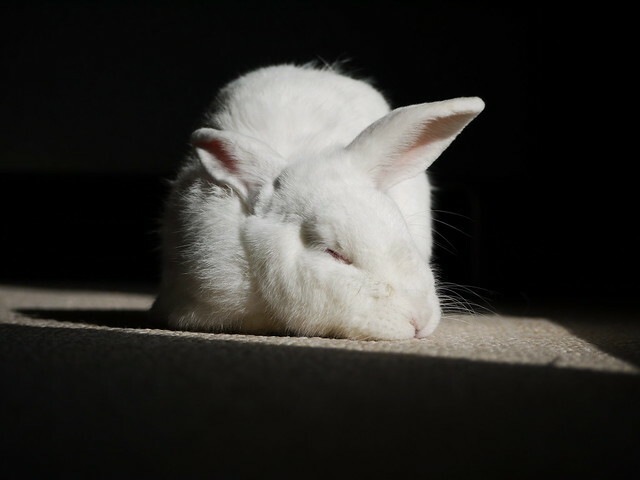 This entry was posted in Bunny Life and tagged betsy, rainbow bridge on July 29, 2015 by Keith Survell. I’m so sorry to hear about Betsy’s passing. Oh! Oh! Gus and Betsy brought all so much fun and pleasure – what a pair. Good luck there – thanks for sharing them. I’m so, so sorry to hear about Betsy. Our pets are never here long enough, and it’s especially hard when they leave unexpectedly. You gave them such good lives. Thank you for sharing them. They were both well loved and appreciated bunnies. Thank you for sharing their stories with us! I am very sorry. I’ve laughed and learned from your blog – thank you for sharing Gus and Betsy’s stories. Fly free Betsy – and may you binky and play with Gus in green fields with many carrots and treats. Cause we know you love your treats. Take care. I’m so sorry. You guys were wonderful and Betsy and Gus were so lucky to have you. I’m sorry to hear about Betsy. It’s always sad when our loved ones have to leave. Thank you for this blog and for the smiles it brought. So very sorry. Thank you for sharing Gus and Betsy’s adventures. They will be missed. Thank you for your wonderful blog. I’ve loved it. I lost my Bun recently also, in May. He was fine in the morning but by evening he had head-tilt. At the vet he had a seizure and died within a few minutes. I cry every time I think about him. I know how devastating it is and my heart goes out to you. I’m so sorry you’ve lost your little buns. They are so full of life. Its a horrible shock when they are gone. They had a wonderful life with you and they had each other. Sorry for the loss of your beloved buns. RIP Betsy & give Gus a few kisses at the Rainbow bridge. I discovered “house rabbits” via your blog and it inspired me to have two buns of my own. Thank you for teaching us and making us smile with all the adventures. Peace to you and your family. So very sorry for your loss. We just lost our Lucy August 1st and know how you feel. Thank you for your blog and the wonderful home you gave Gus & Betsy. I just read this. Sorry to hear of your loss. Perhaps when you are ready you can welcome into your home another rabbit or two. We are so sorry to read about your loss! 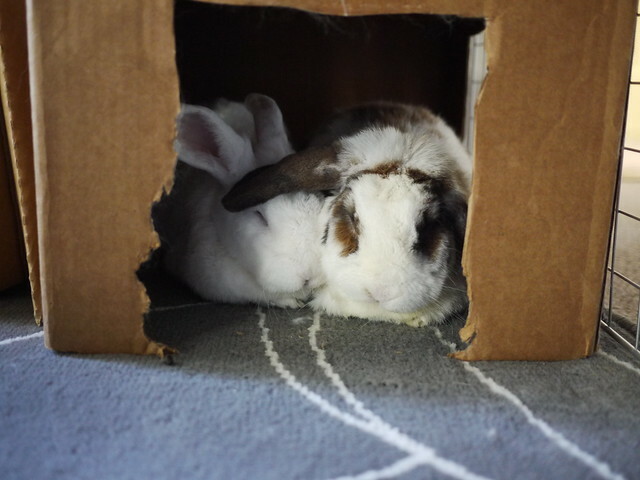 We loved to read about Betsy and Gus (and to watch them on the Bunnycam), and we will miss them both! Thank you for sharing with us all the wonderful adventures of your bunnies!